Step out onto the dance floor with this set of energetic and fully customizable nightlife backdrops from Pixel Film Studios. 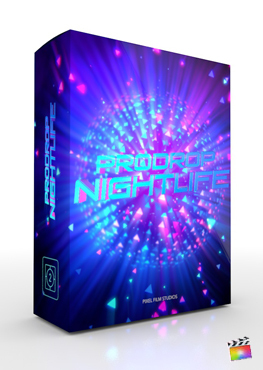 ProDrop Nightlife features multiple styles that will fit to any Final Cut Pro X club production. Use ProDrop Nightlife presets as backgrounds for text, pictures, and videos in your Final Cut Pro X project. Pick and choose from 30 club inspired presets with completely customizable options. Change the camera path, alter the colors, and make adjustments layer by layer with ProDrop Nightlife.